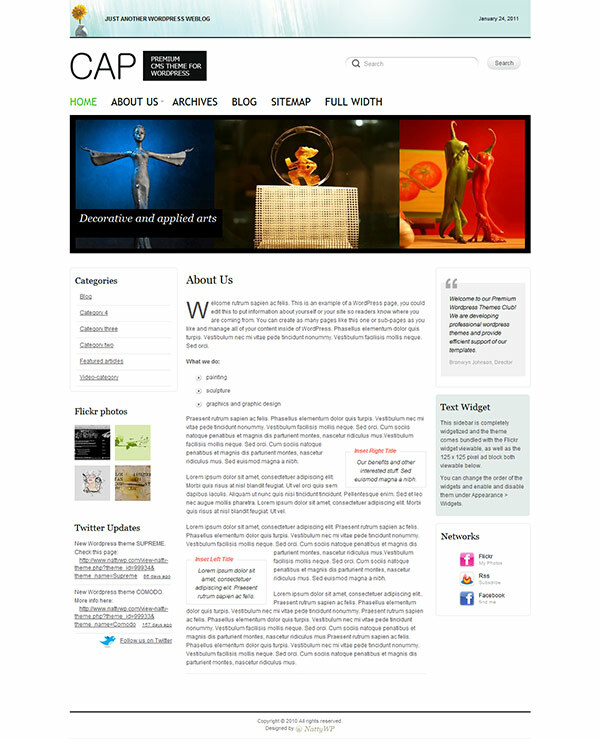 The Cap theme is a a 3-column layout personal blog type of theme for wordpres. Every element of the theme Cap is highly customizable through the additional Theme Options. You can build page-based website or usual blog with style. You get an amazing clean layout with 2 sidebars and customizable back-end, with it you can present a list of services or benefits of your company using special pages scroller section on the home page, a blog template to setup blog section on your site, a networks widget that lets you display all the popular social networks, a completely widgetized sidebar with custom widgets included in the theme packaging, a completely CSS color controlled, offering you the most flexibility and the easiest customization, allowing you to change the colors of your entire site on the fly in seconds. 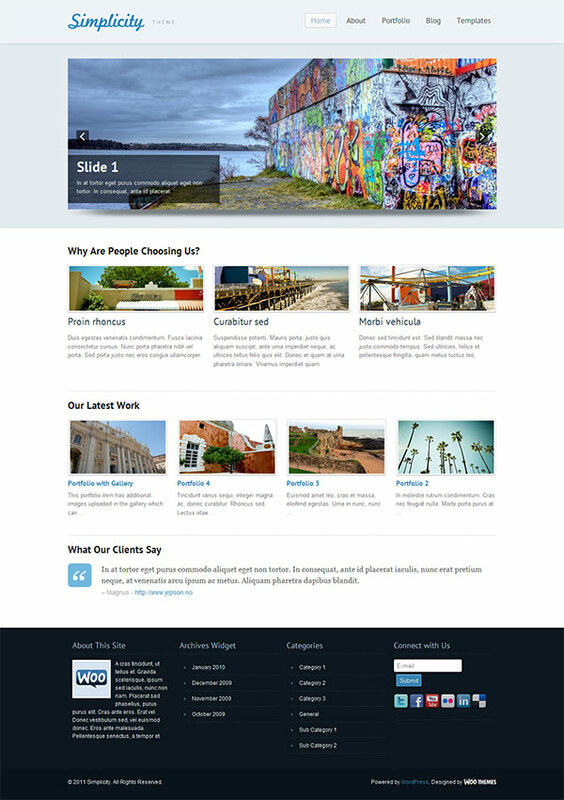 Simplicity is a business theme that is hugely customizable with a clean layout, featured home page slider, and custom post types for testimonials, portfolio items, mini-features and slides. Make this theme your own and completely configure your home page how you want. 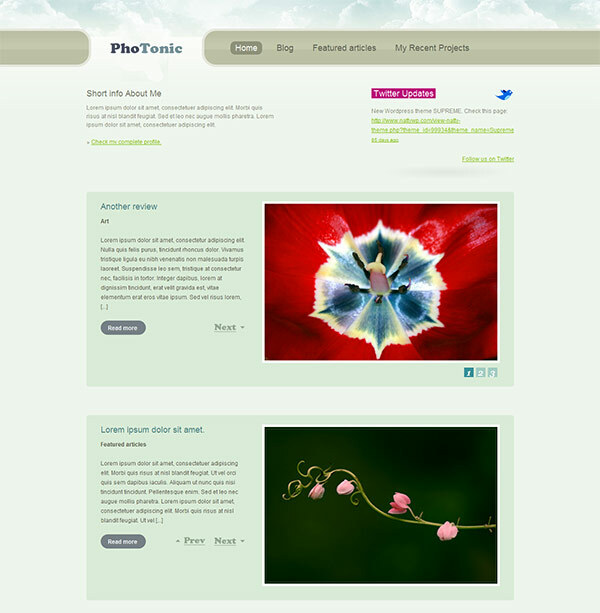 The theme has a custom home page featured slider to showcase your work or products with style, all powered by jQuery. Optional slider pagination gives your visitors easy overview. The custom home page layout comes with mini-features, portfolio and testimonial modules. There is an optional integrated portfolio section driven by custom post types, which utilizes jQuery prettyPhoto script to display your work in a lightbox. The theme takes full advantage of the new custom post types functionality than came with WordPress 3.0, so adding slides, mini-features, testimonials and portfolio posts is dead easy. You can customize the typography in the theme to suit, and there is full support for Google Fonts in the font selector. The theme has a widgetized 1 sidebar (that you can even include on the home page) and 4 footer, and as always comes with 8 custom Woo Widgets (Ad Space, Blog Author, WooTabs, Subscribe, Feedback, Search, Flickr and Twitter). You also get a theme that includes 9 alternative color styles which you can preview in the demo, and also has styling options for background color/image and setting link and button color. It also includes SEO options to help propel your site’s search engine ranking.